The perfect addition to the shade garden! 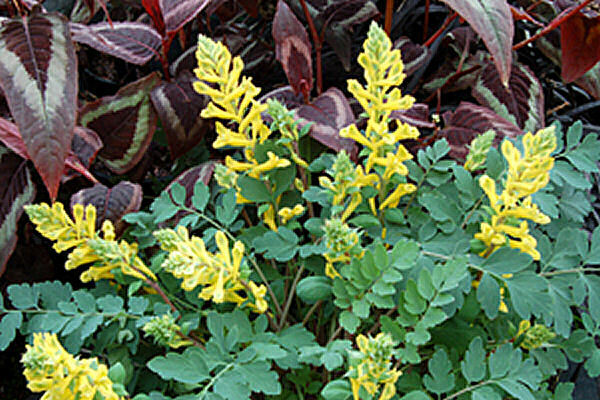 Soft, blue-green feather-like foliage is accented by large, canary-yellow flowers carried above the foliage on short spikes. 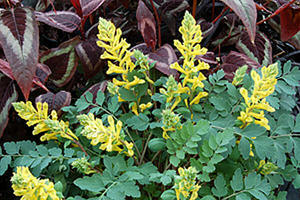 Combines well with blue or gold Hosta.